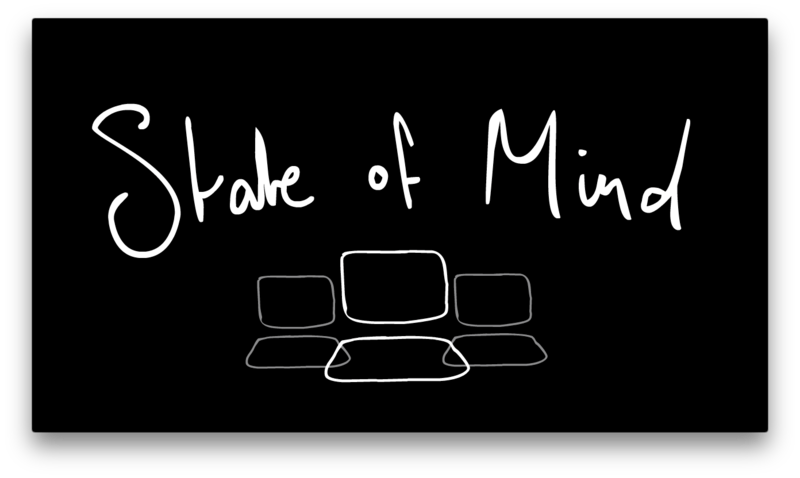 ‘State of mind’ is a conceptual design project created during the OzCHI 24-hour Student challenge. It was one of the four top entries, receiving a Google travel scholarship to be presented at the conference. Our personal work spaces are often described by the surrounding environment. Factors like location, time of day, and the people we work with can all be considered qualifiers for different kinds of work. Despite this external influence, our cognitive workspaces are most often bound internally as current technology fails to afford for our spatial obligations and predispositions. The systems we use do not care whether we’re entertaining at home or studying for an exam with friends. State of Mind invisibly addresses this by intelligently loading relevant applications, preferences, documents and media automatically when entering a contextually defined space. 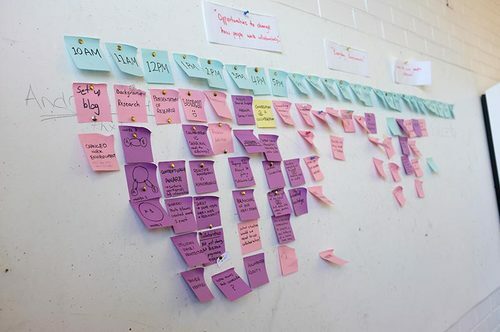 As users naturally utilise physical space to communicate, their virtual states adapt and synchronise dynamically, ensuring that collaboration is as fast and seamless as possible. We began by looking at existing collaboration tools, and emodied knowledge. After defining our terminologies, modelling abstracted entities and scenarios, visualising said models, three rounds of interviews, and some intensive role playing we had a solidified concept. Our full process journal is linked here. This was one of the biggest groups I’ve jammed with. It can be harder to gain momentum at times with bigger groups, but once practiced, it can be an effective structure. Having a large group was also great for post-competition responsibilities such as the presentation.